I just bought some very cheap water color pencils and wanted to play with them. 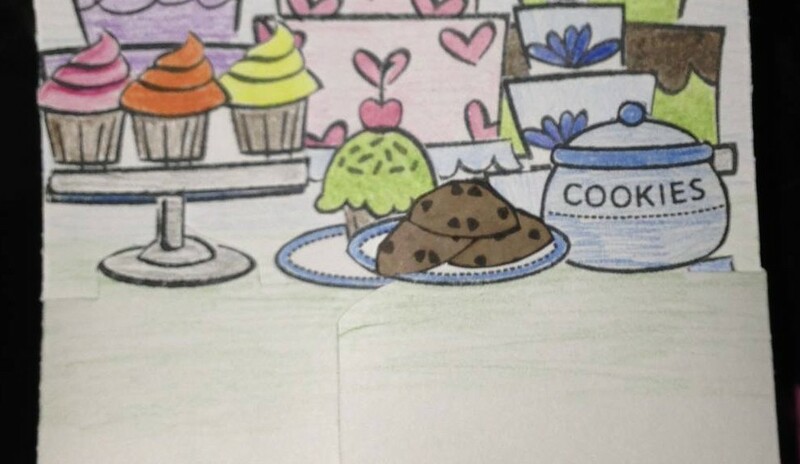 I had also recently seen a video about spot light coloring, so I figured that would be a good technique to play with the water colored pencils. Extra Details: I started with a panel of water color paper. 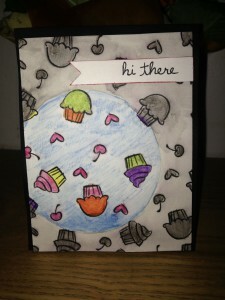 I stamped an all over pattern using cupcakes, cherries, and hearts. I used Memento Tuxedo Black ink, which did smudge when I added water. I lightly traced a circle using a jar lid. I added the water color pencil and used a water brush to blend it out. I kept the color to the inside of the circle. 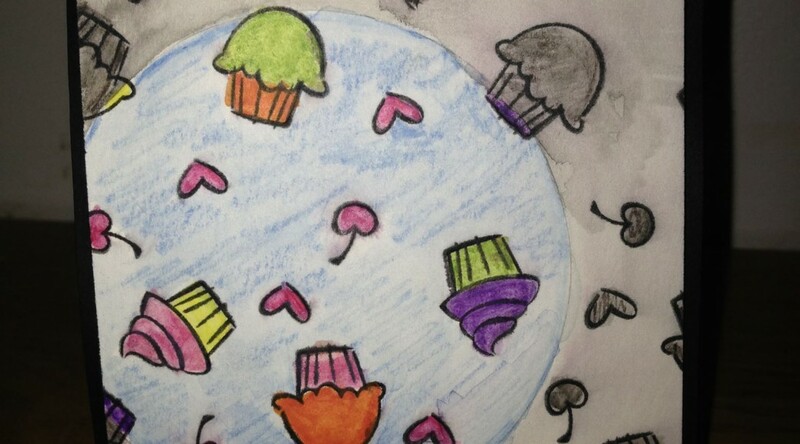 I used the black water colored pencil to add a bit of color and some shadows to the rest of the images. Once dry, I adhered the water color panel to a black card base. 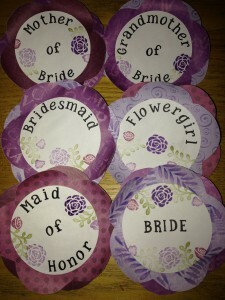 I also added a sentiment banner. I inked the edges of the banner to help it stand out. This is a fun any time card. I had just purchased Starry Backdrops and wanted to play with it. 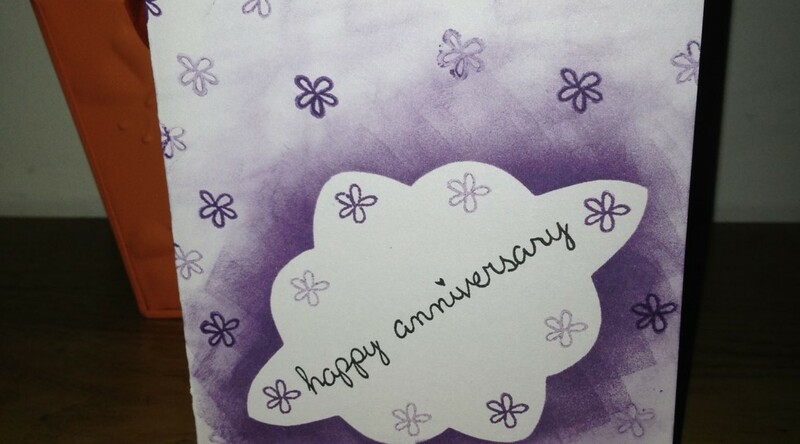 Extra Details: I started with a purple card base and stamped Starry Backdrops in a darker purple ink on it. 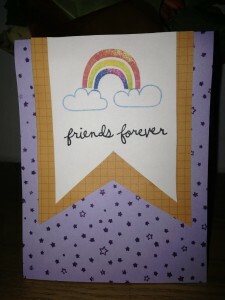 I stamped the clouds and rainbow on a separate piece of white cardstock. I used the rock n roll technique to gets lots of colors on my rainbow arcs. 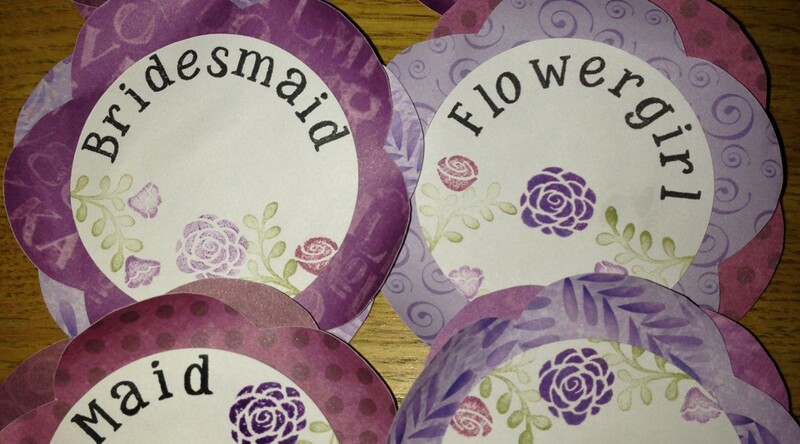 I added a sentiment and then hand cut a banner shape. 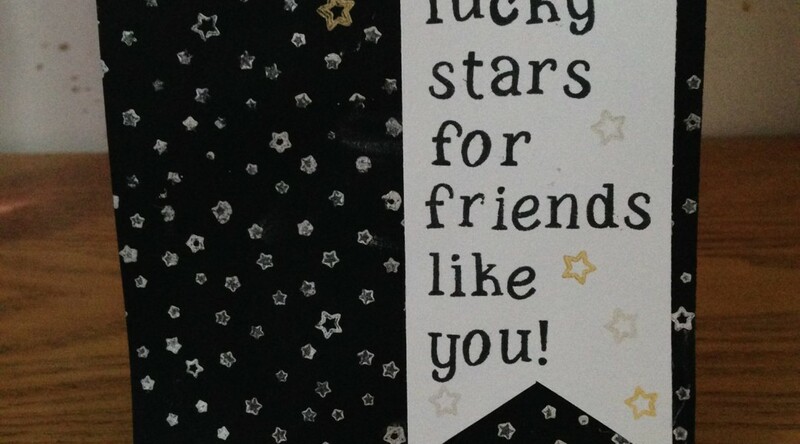 I felt the card need a little something more, so I hand cut another banner shape from a piece of patterned paper. 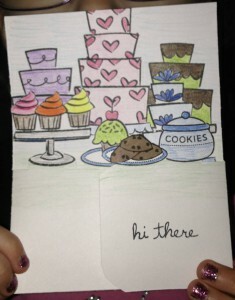 After adhering everything together, the card was finished. 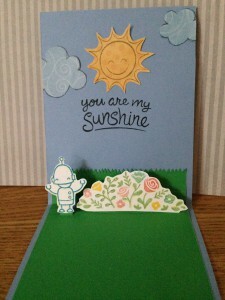 Paper: The patterned paper is from Lawn Fawn and was included free with my order. 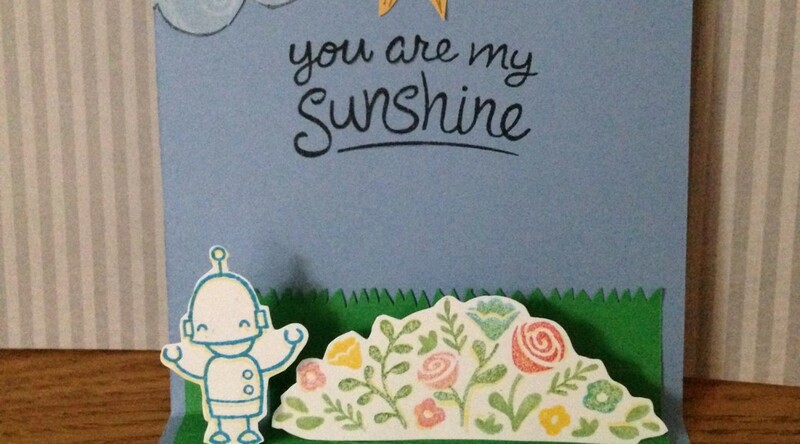 Extra Details: This card uses paper piecing, direct to paper stamping with ink pads, pop up elements, generations stamping and stamping over. 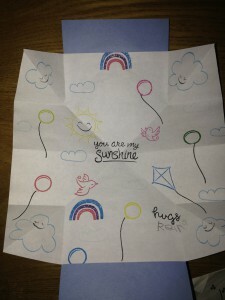 The kiddos wanted to make an explosion card for their grandmother. This is what they came up with. Extra Details: I don’t remember where I found the tutorial for this card. However, I know that I didn’t have a balloon stamp so I selectively inked a pair of glasses to make balloons. 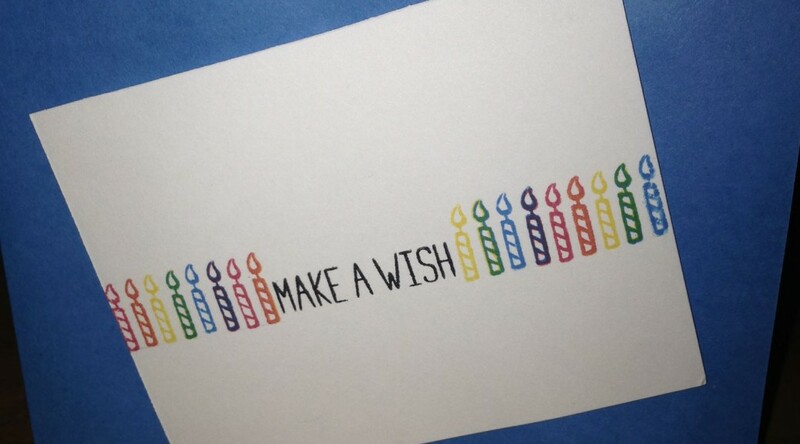 This is a simple birthday card. 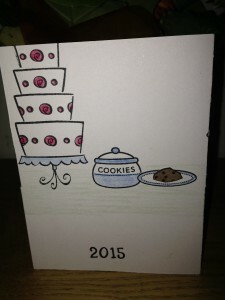 Extra Details: I drew a faint pencil line on the white panel and stamped my sentiment in the center. Then I started filling in the candles. I double stamped some of the candles to get more colors. Lastly, I adhered the panel to a blue card base. 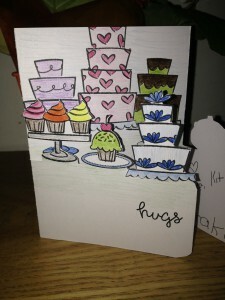 Art Impressions had just released one of their Tri-Fold stamps sets that can be used to create 3 panel cards, and I wanted to try to make something similar with the stamped I owned. 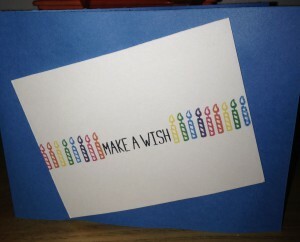 Front of the card when all panels are closed. The back panel and where I wrote my message. 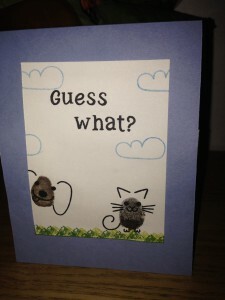 Extra Details: I used one piece of paper to make this card, which is why the front panel does not cover the whole card width. I preplanned which images would be on each layer. I tried to keep the taller images on the back layer. I used masking to create each of the scenes on the panels. After everything was stamped, I carefully fussy cut the front two panels. 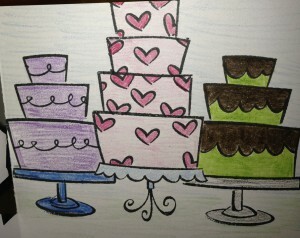 I colored everything with colored pencils. 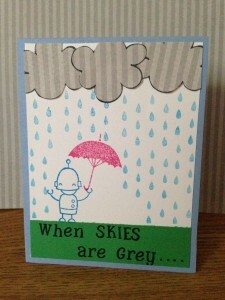 What to do with a new pack of metallic pigment ink? 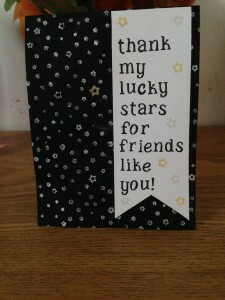 Make a starry card. Extra Details: I started with a black card base. I stamped Starry Backdrops all over it in silver pigment ink and set it aside to dry. I also added one gold star to be my lucky star. 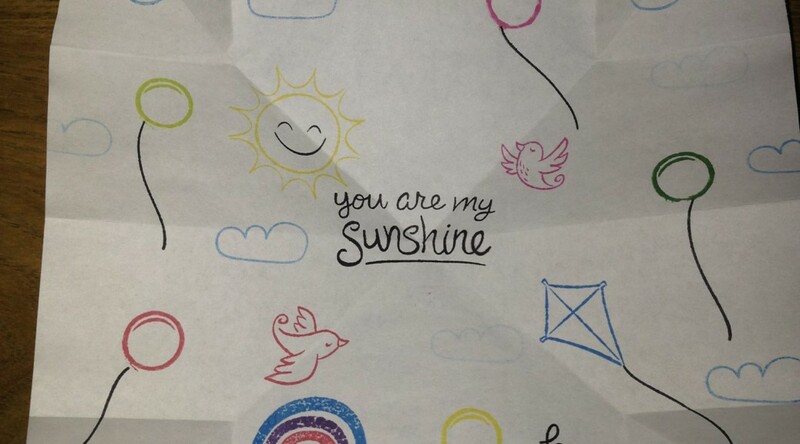 While the card base was drying, I made my sentiment banner. 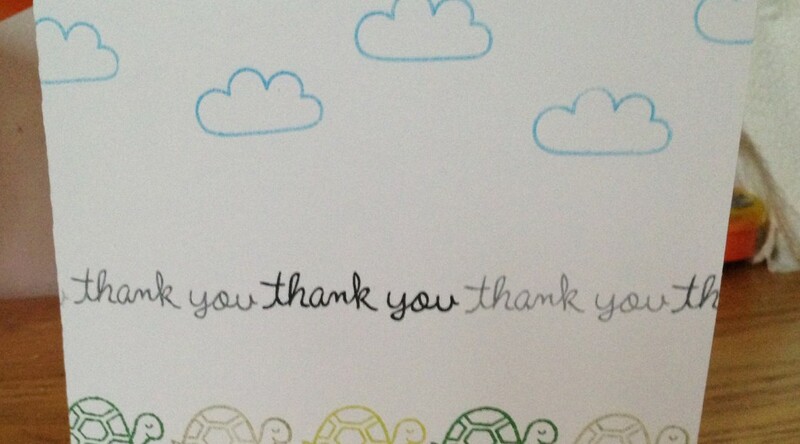 I laid out my custom sentiment with Riley’s ABCs and stamped it in black ink. I added a few stars in gold and silver. 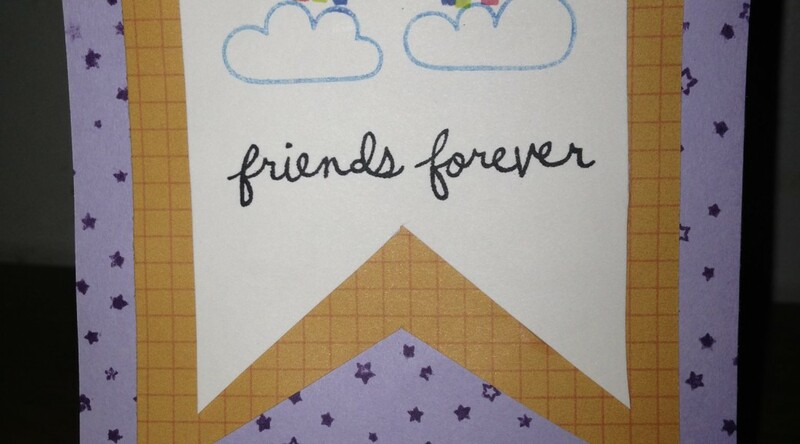 I cut a fishtail shape on the bottom of the banner and adhered it to the card base. 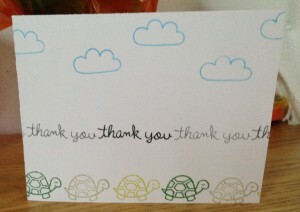 This is an overdue thank you card; which is why I used the turtle image. 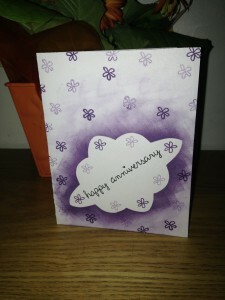 Extra Details: I used second generation stamping on this card.